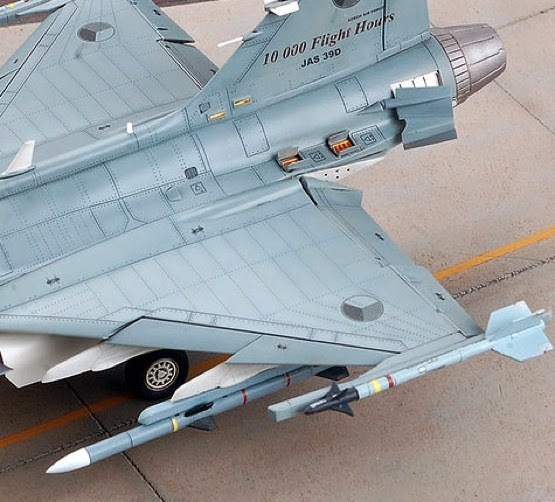 THE SAAB GRIPEN is our favourite fighter. We reckon it's the best of the so-called 'fourth generation' combat types out there, at least in cost/benefit terms. 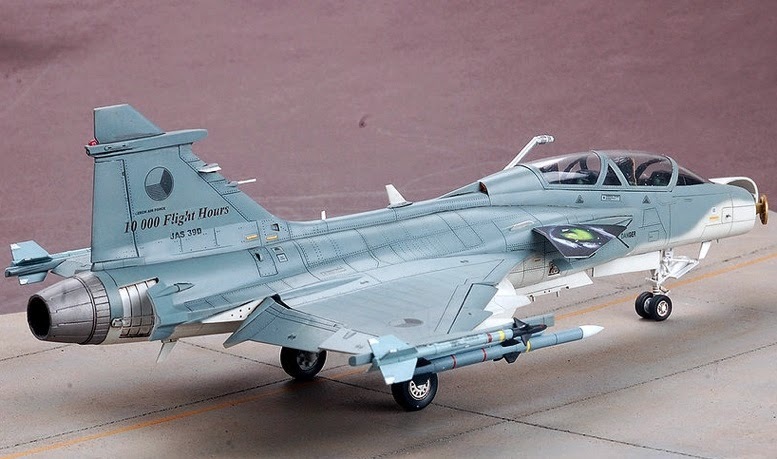 And now Kitty Hawk Models have a 1:48 scale kit on release. 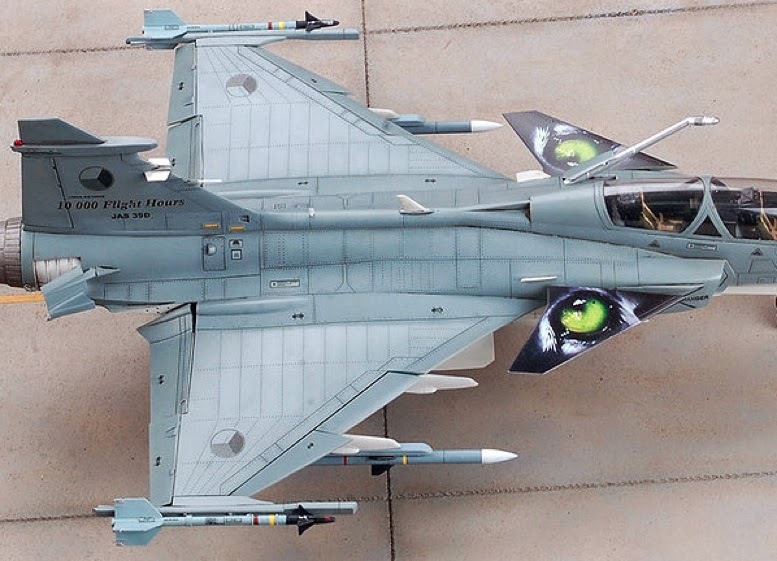 SMN report: The Kitty Hawk kit represents the two-seater version of the Swedish fighter. 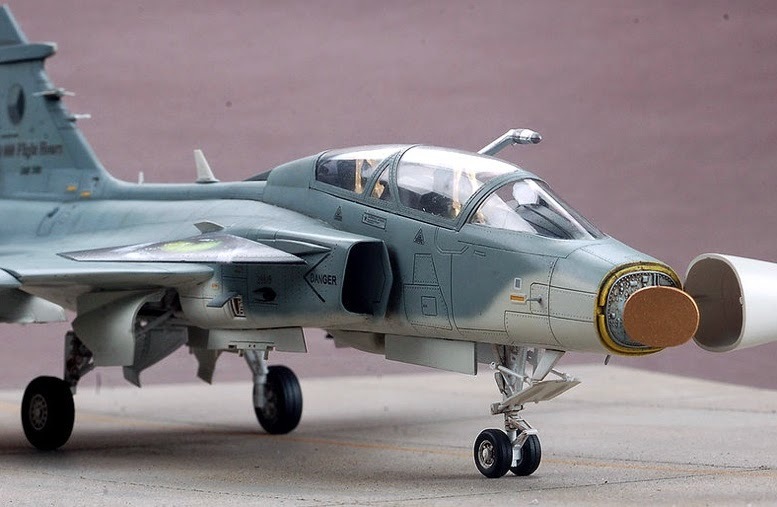 The kit features plenty of detail and features such as the swinging nose-cone )below) with radar antenna. 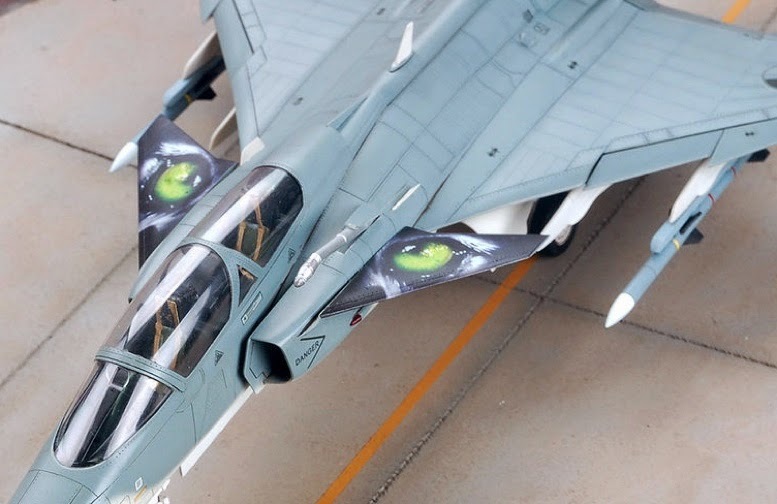 The kit includes moveable control surfaces (below) including drooped flaps. 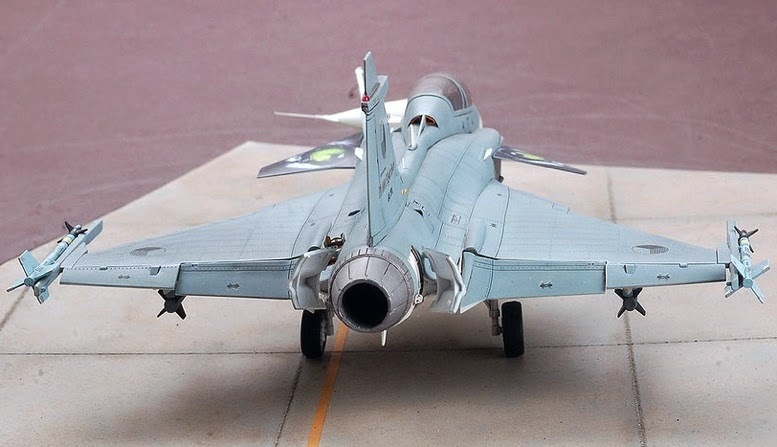 The model needs some weight in the nose to ensure a solid sit on its four tyres. 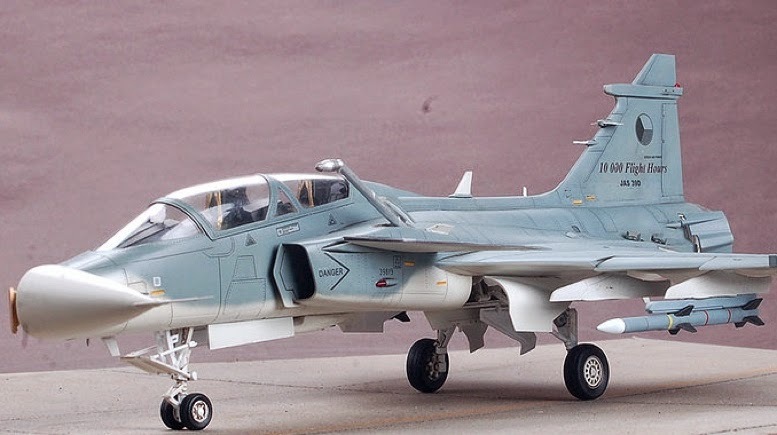 Earlier Gripen model (below) featured the single-seat version. Below, the air-to-air refuelling probe is shown in extended position, ready to gulp plenty of aviation fuel to extend the Gripen's combat range. 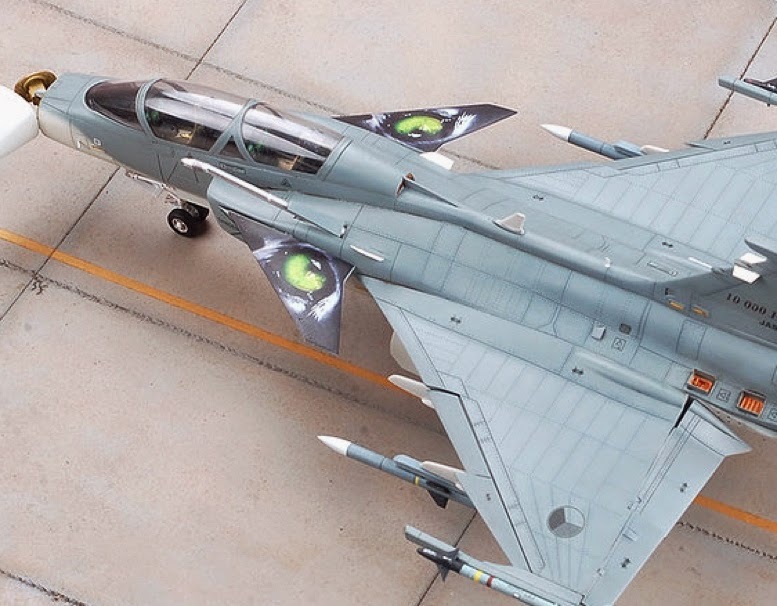 Radar antenna (below) clearly revealed, as are the twin nose-wheels. The diorama base (below) is not provided in the kit, but it shouldn't be too difficult to make your own. A section of carefully weathered slabbed tarmac certainly adds a lot to the basic model. Count the rivets (below) to see what a fine job Kitty Hawk has made of this kit. 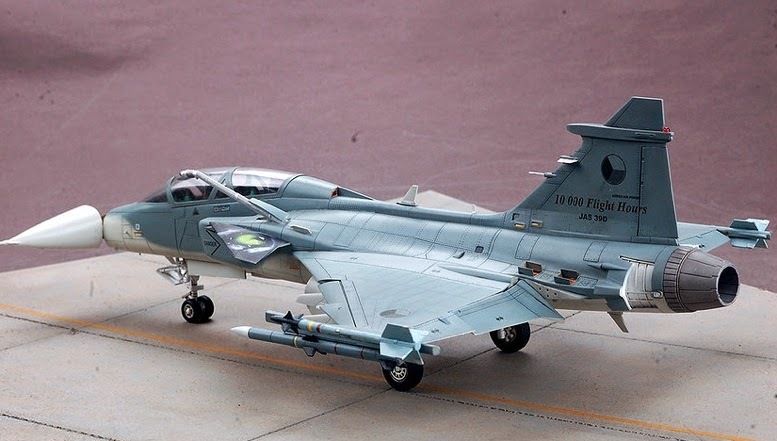 The kit begs for the addition of 1:48 crew members, both flight crew and ground personnel. Luckily, they are available to buy. 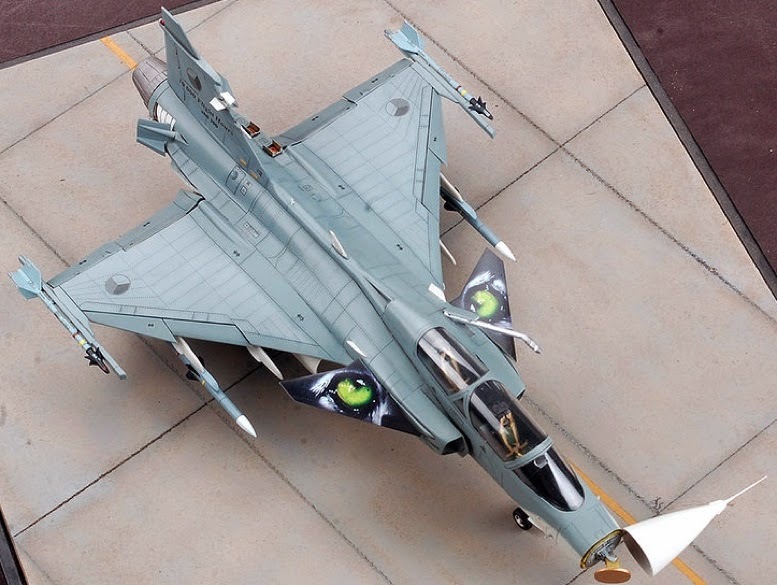 Eagle eyes decoration (below) on the foreplanes, highly suitable for the Gripen, a Swedish word that means Griffin. In Greek legend, this was a creature with the body of a lion, with the head and wings of an eagle - the king of beasts, lord of the air. A nicely picked title, Saab! 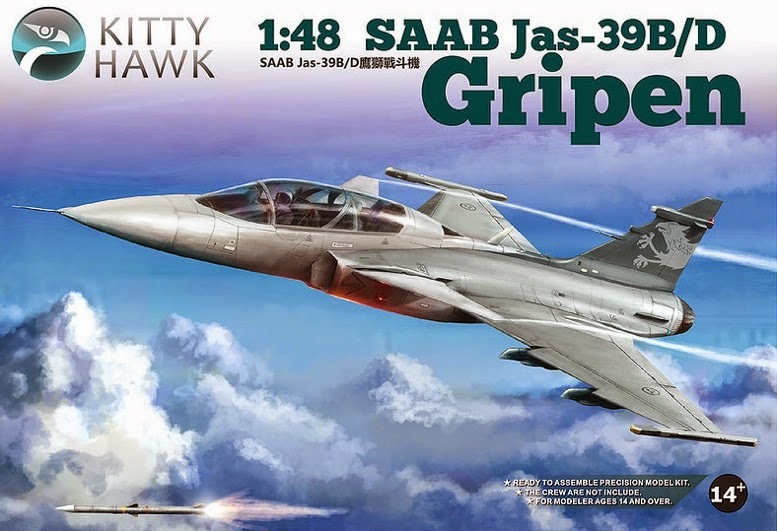 More SMN articles on the Gripen here. Air brakes (below) shown extended, plus open access doors.